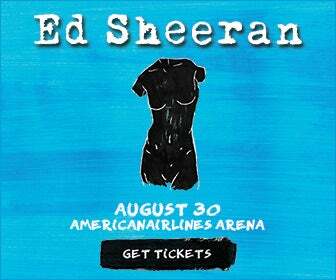 Miami – Multiple GRAMMY® Award-winning global superstar Ed Sheeran has announced details for his North American arena tour. The tour begins June 29th and then continues through early October with a stop in Miami at AmericanAirlines Arena on Wednesday, August 30th at 7:30pm. Tickets are priced at $99.50, $79.50 and $39.50 and will go on sale to the general public on Friday, March 17th at 10am. Please note there is no venue presale available for this show. The tour celebrates Sheeran’s landmark third studio album, “÷.” The album – pronounced “divide” – includes the universal hit singles, “Shape of You” and “Castle On The Hill,” both of which made incredible chart entries after their simultaneous January release. “Shape of You” debuted at #1 on Billboard’s “Hot 100” – Sheeran’s first time atop the overall chart – and has remained there for six weeks total thus far. Meanwhile, “Castle On The Hill” entered the “Hot 100” at #6, establishing Sheeran as the first artist to ever have two singles make simultaneous top 10 debuts in the chart’s 58-year history.